Wet basements and crawlspaces caused by poor drainage is the number one cause of damage to homes. 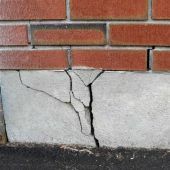 When the issue is not addressed properly and in a timely manner, it can lead to costly and even permanent damage to your home and foundation. A wet basement, soggy carpet, wall stains, or even puddles during wet weather are all signs of a drainage issue that need to be fixed . Water in a crawlspace is equally important to remedy as it might lead to mold and termites. Proper high quality drainage corrections will provide total peace of mind to otherwise very frustrating issues. In most cases, there’s one culprit: stormwater. It saturates the soil and creates hydrostatic pressure as it pools around your home. 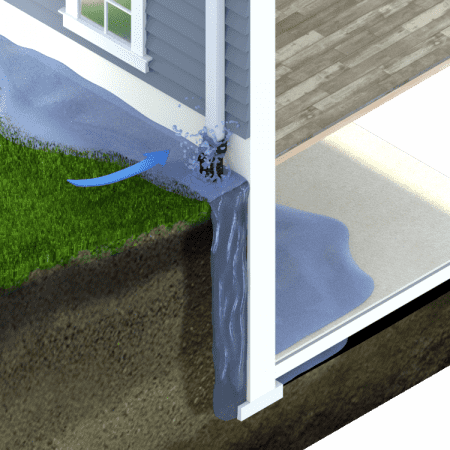 Eventually, the stormwater enters your basement or crawlspace. 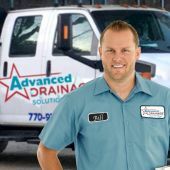 Once our team completes a custom designed install, you can expect Lifetime Drainage Relief. Stormwater should flow away from your house, not pool alongside it. Stormwater collection and removal systems transport water to where it belongs. The shape of the land around your home might be the problem. When it is, we change it to channel water away from the foundation. Often, only minor corrections are needed. We replace faulty, ineffective drainage systems with resilient, low-maintenance alternatives that are less prone to fail. Heavy, durable PVC performs better – and longer – than standard corrugated piping. 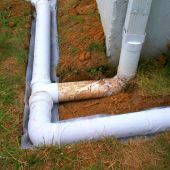 We replace failing or ineffective drain lines with strong PVC products. Overflowing gutters or downspouts? When gutters and downspouts don’t work properly, we modify them to keep water away from your home. We can install new ones, too. Sometimes, the best solution even has aesthetic appeal. Smart landscape or hardscape choices can also protect your property. We come to your home to discuss the problem. 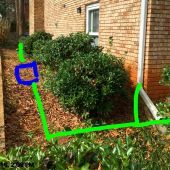 Give us a tour of your “problem areas” and share your thoughts on when, why, and how these conditions developed. We analyze your home, land structure, gutters, downspouts, and any drainage features you’re using. By the end of the visit, we determine the conditions that require attention. Based on our review, we propose specific recommendations. In most cases, we provide pictures or color-coded diagrams to show you exactly how we plan to proceed. On a scheduled date and time, we take action. Our team installs a custom, long-term solution designed to keep water out of your basement or crawlspace.